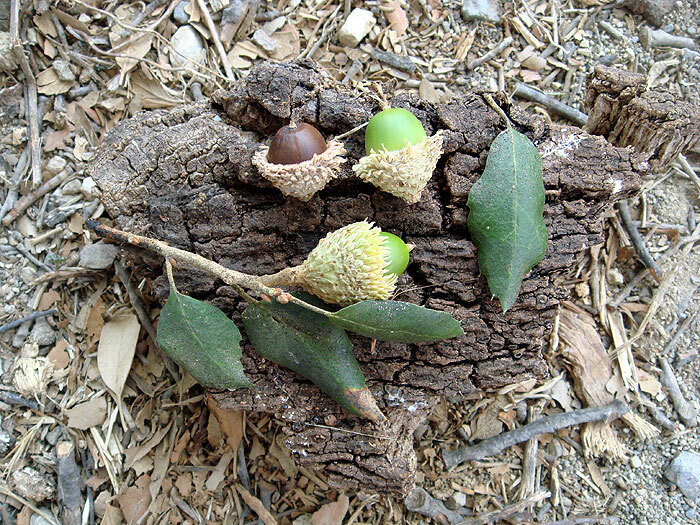 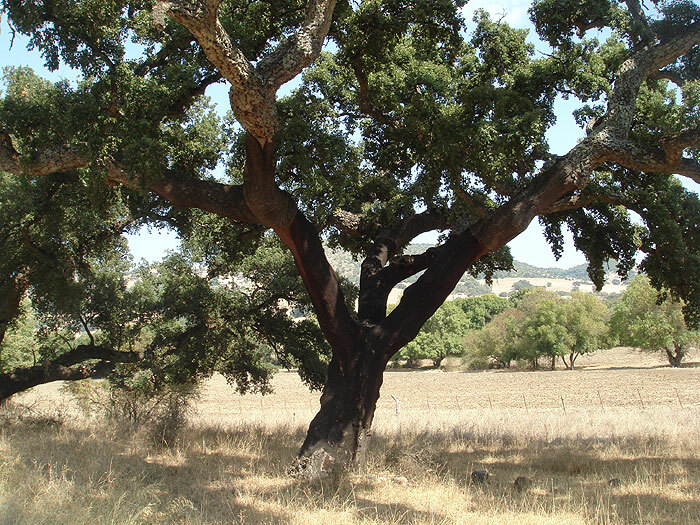 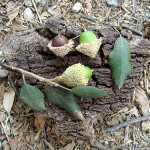 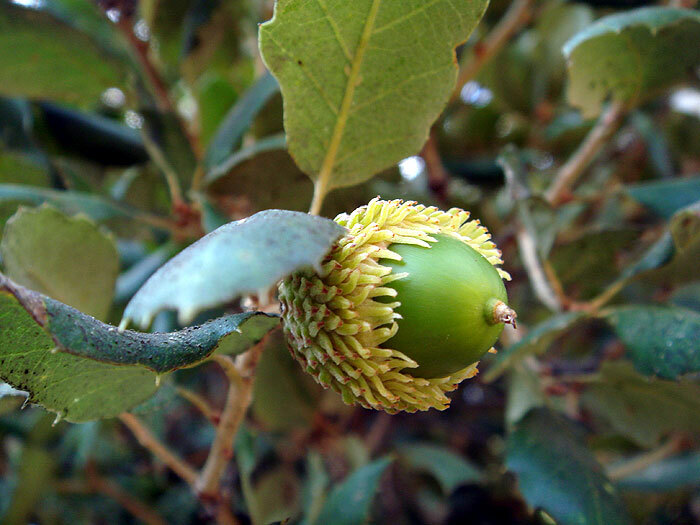 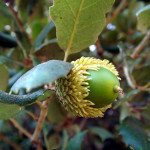 Quercus suber is a type of evergreen oak tree native to the Mediterranean region. 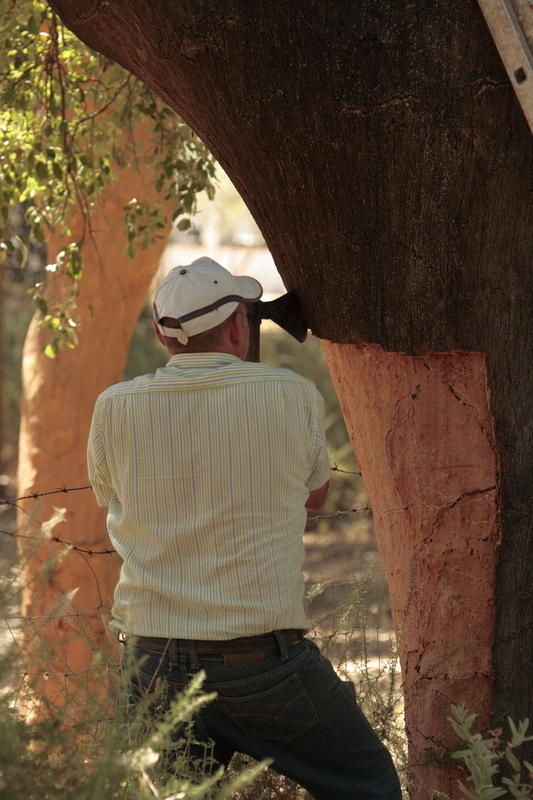 The tree has adapted to the problems of fire and drought in this area by growing a thicker bark as a protective layer. 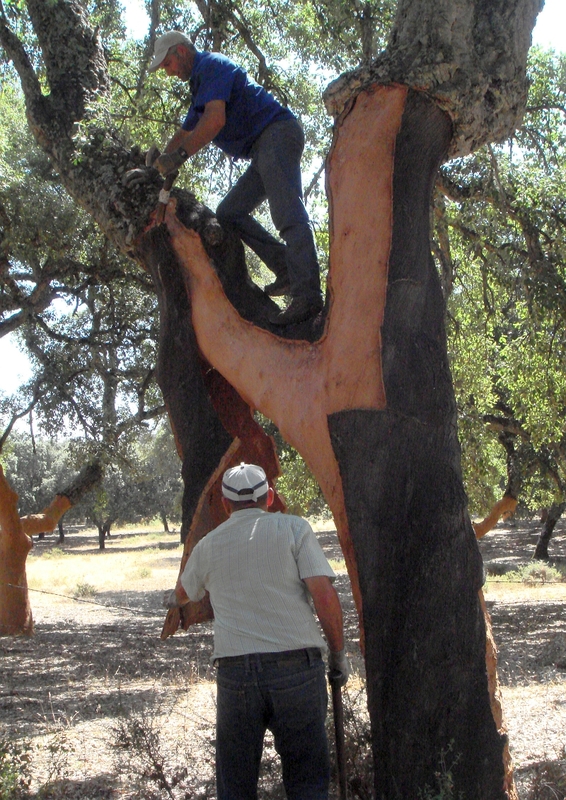 This outer layer of cork has many industrial uses and huge open forests have been developed to benefit from it in 7 countries bordering the Mediterranean sea – covering some 2.7 million hectares in Spain, Portugal, Algeria, Morocco, Italy, Tunisia, and France. 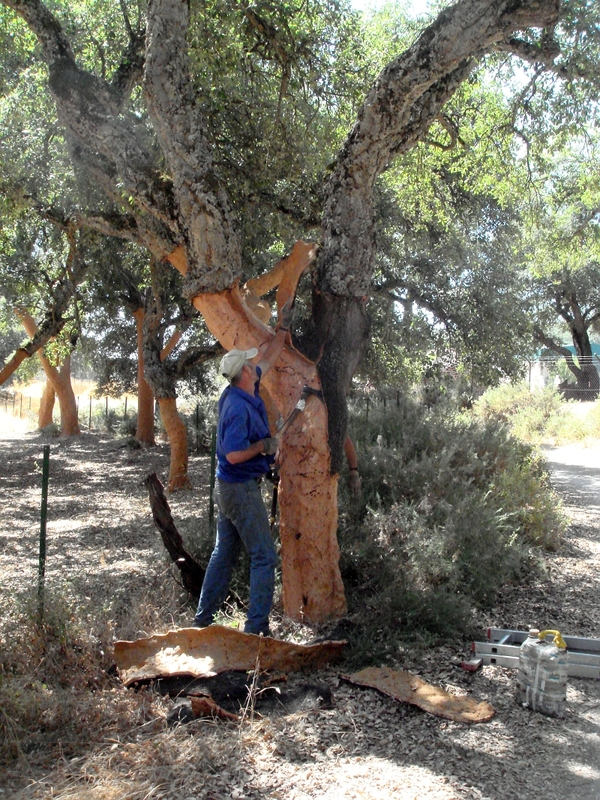 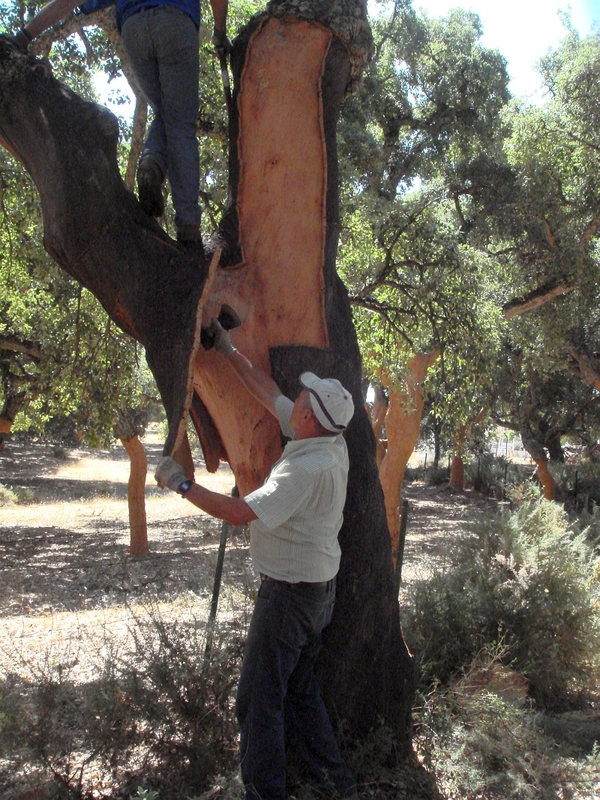 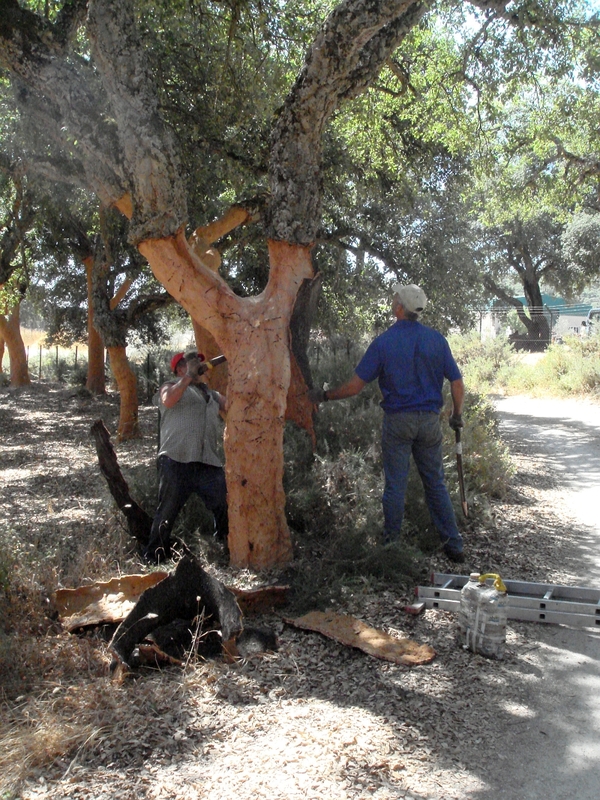 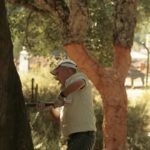 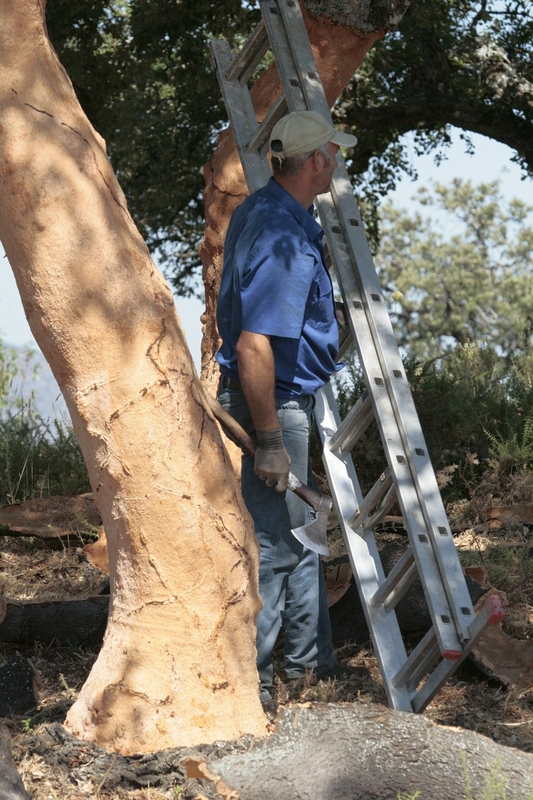 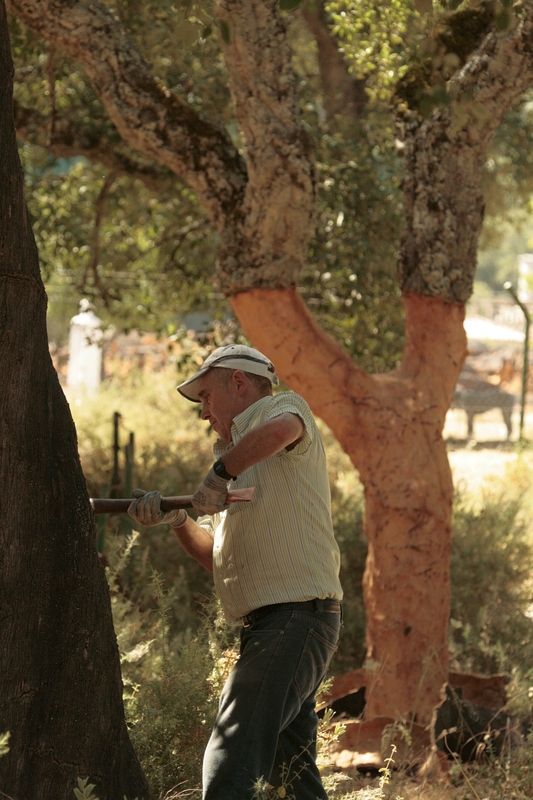 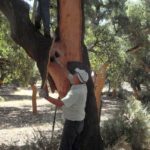 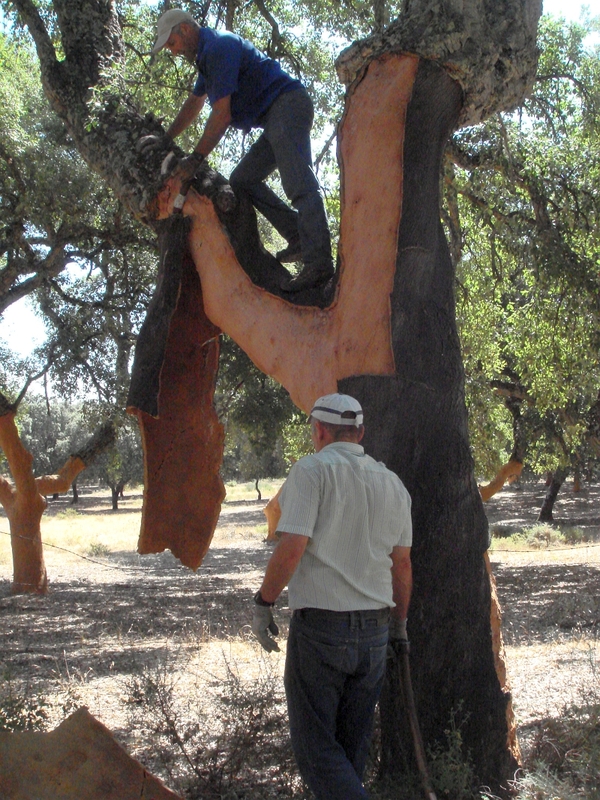 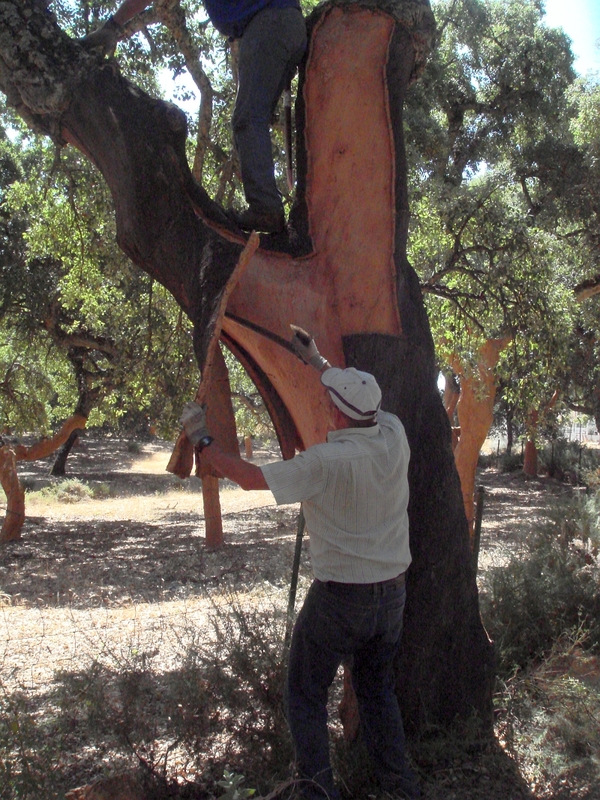 These majestic oak trees are not felled or damaged during the cork harvest, small professional teams work through the forests, carefully stripping the bark by hand using a special axe. 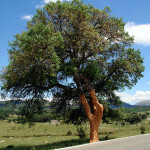 This is done during the heat of the summer when it comes away more freely. 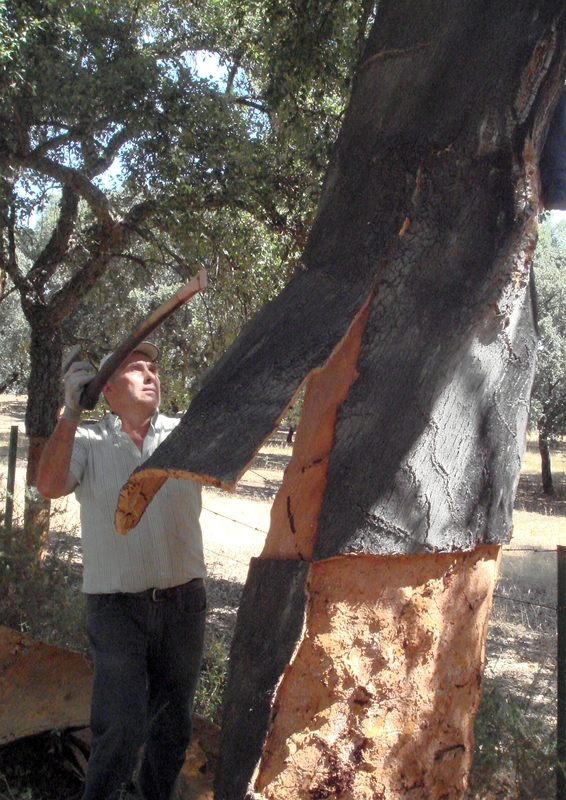 The cork sheets are carried out on mules before being stacked onto lorries and stored. 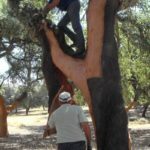 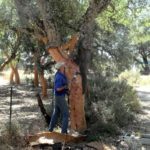 The outer tree layer regenerates over 9 to 12 years, a tree will be approximately 50 years old before its bark will be of suitable quality for a wine stopper and live on to be around 200 years old. 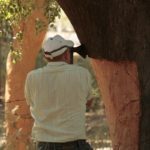 Forests have little or no work carried out in between harvests, so you can envisage the importance to wildlife that these forests hold as havens for rare and endemic species. 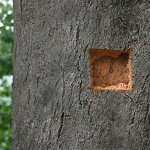 Recent research has discovered a wealth of animal and plant forms that exist here because of the humidity. 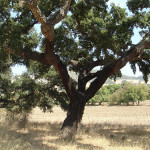 The heavy tree canopy and many deep water channels combine to create a subtropical micro climate in a normally dry part of Spain. 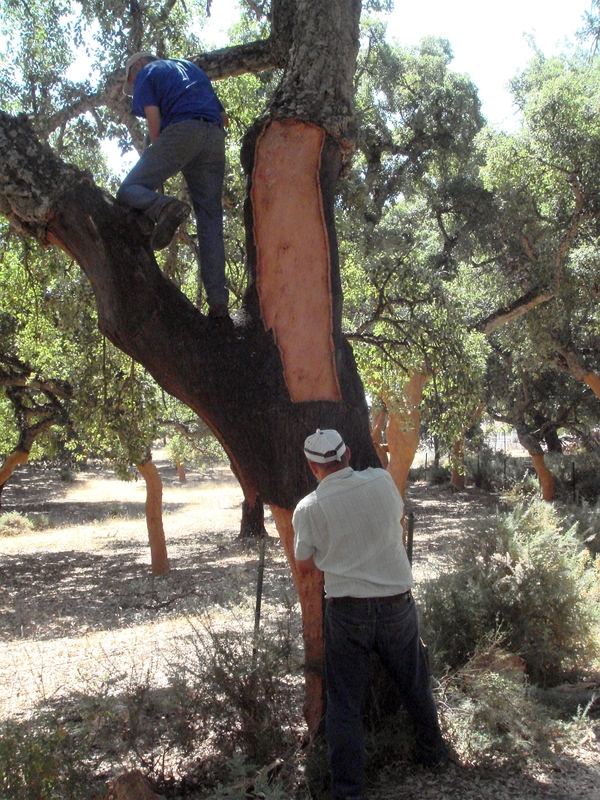 These forests are exemplary in their balance of conservation and economic development. 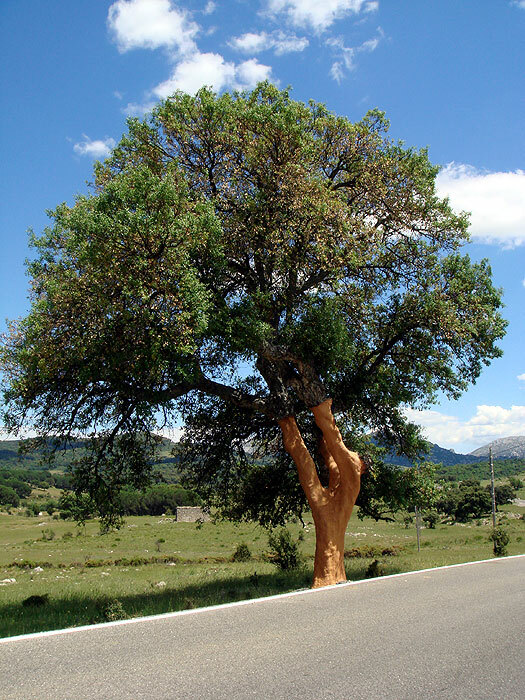 Spain is the second largest producer at around 25% of the world supply (following Portugal), selling around 300 million euros of cork abroad, and providing a source of livelihood for many thousands of people. 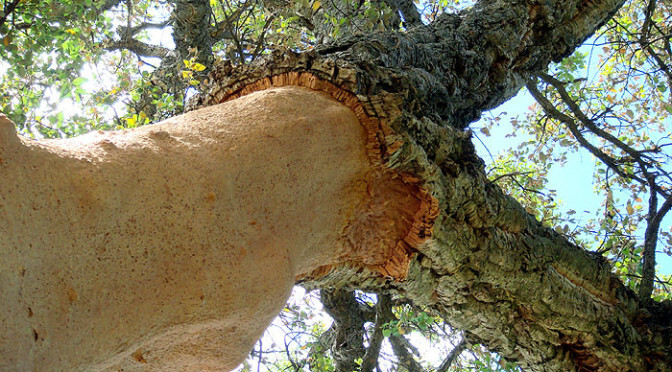 Cork has been used by humans in the Mediterranean basin since the ancient Egyptians, Greeks and Romans used it for sealing jars, for roofing and for making beehives. 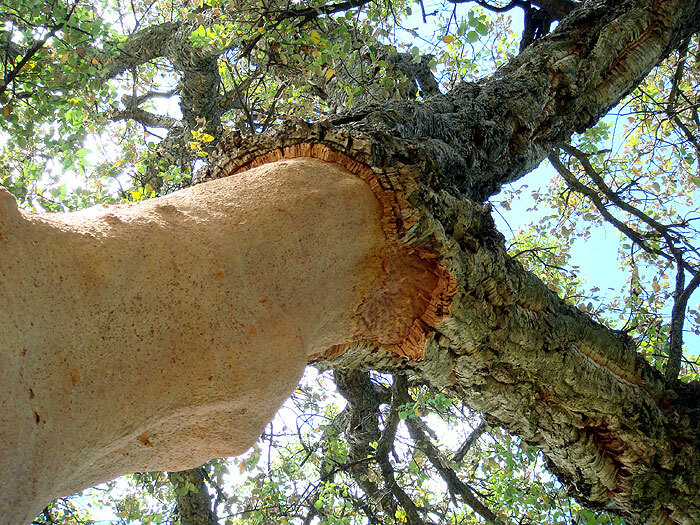 Beginning in the 18th century cork became widely used in industry, particularly after the development of the cork stopper by Dom Pierre Pérignon , a Benedictine monk well known for creating the first champagne. 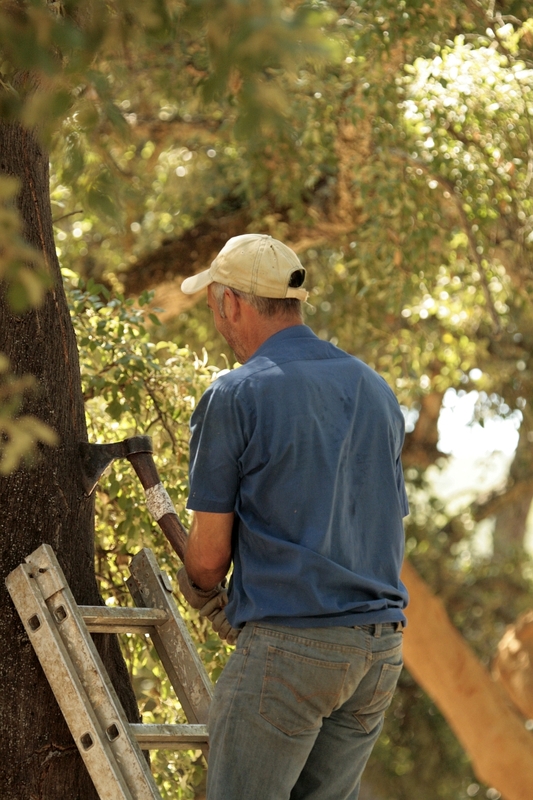 Cork’s elasticity combined with its near-impermeability makes it an ideal material for bottle stoppers. 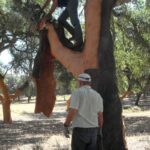 The most expensive corks are cut from one piece, but “agglomerated” corks are made from the smaller grains glued together. 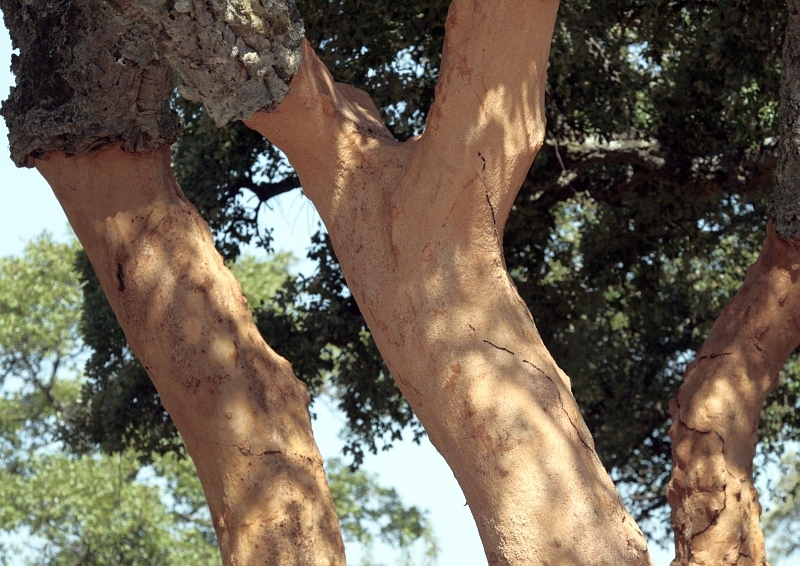 Offcuts of cork and scraps are collected for processing into alternative cork products – nothing is wasted. 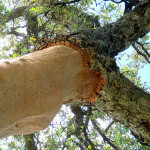 Due to cork’s unique qualities its applications are diverse; from spacecraft heat shields and fairings to mopping up oil spills. 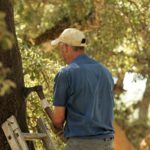 Some of the following uses you may be aware of; flooring, wall covering, sound/heat insulation, engine gaskets, fishing floats, shoes, furniture, kitchen utensils, ornaments, handles for fishing rods, walking poles and bicycles, helmet linings, dartboards, the core of baseballs, hockey and cricket balls. 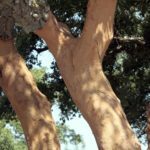 After a recent decline in use as wine-closures when cheaper synthetic alternatives were heavily marketed, cork wine-stoppers are making a comeback. 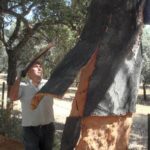 Its environmental impact is dramatically less than that of oil and metal based closures, plus it is the best material suited for red wines, cognacs etc., allowing oxygen to interact with wine for proper ageing. 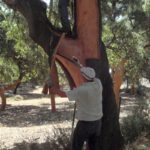 Environmentalists, WWF and ornithological groups are campaigning to save the cork industry from further decline by making wine drinkers more aware of their power in choosing cork only bottles. 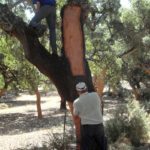 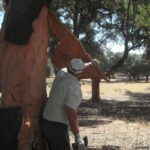 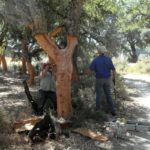 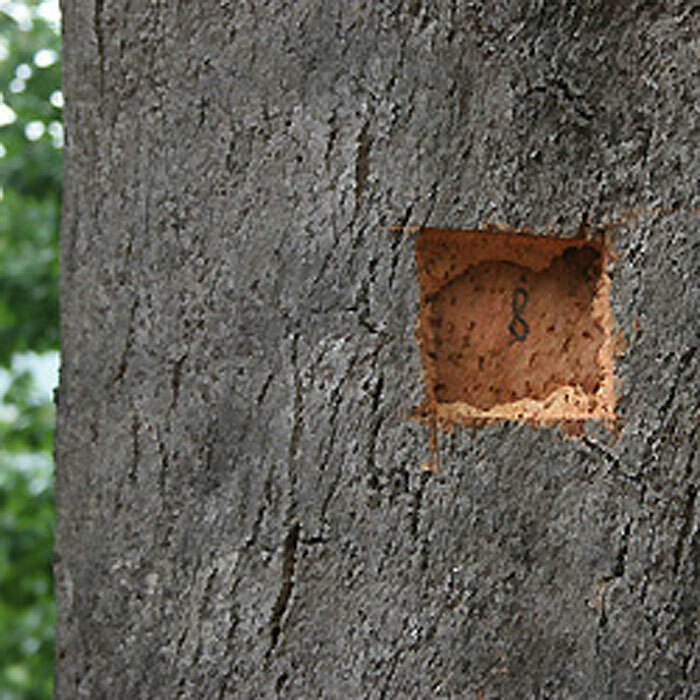 If the market demand for cork stoppers were to decrease significantly, the entire system could collapse (cork stoppers represent about 60% of all cork based production), it is likely that the forests could be lost through neglect, fire, diversification and over-grazing during the next 10 years. 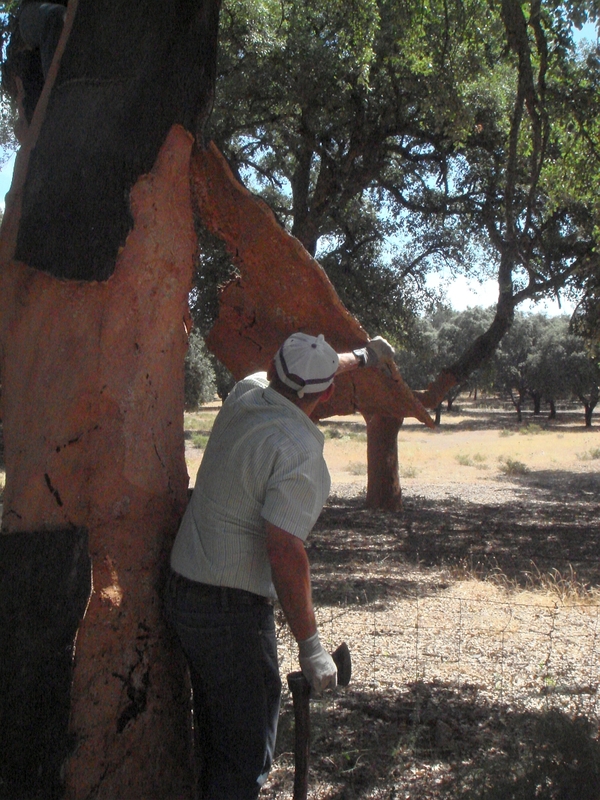 Cork is a completely natural, renewable, recyclable material with a huge importance to the environment. 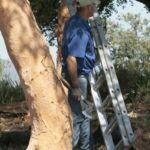 Where can you go to find out more?